For the sake of those whose darkness has been worn away by purifications, who have attained to peace, whose passions have been conquered, who long for liberation, this Awakening to the Spirit is set forth. For, compared with other means, spiritual awakening is manifestly the one instrument of liberation; as there is no cooking without fire, so without wisdom, liberation is not attained. Since they are not contraries, the works of the law cannot make an end of unwisdom; wisdom drives away unwisdom, as light the host of darkness. Hemmed in and beset, as it were, by unwisdom, when that is destroyed, the Spirit shines forth absolute and free, as the rayed sun when the clouds depart. For the cycle of birth and death, crowded with passions and hates, is like a dream; while it endures, it appears real, but on waking, it becomes unreal. This world, like the silver in the pearl shell, appears real only until the Eternal is known, the secondless foundation of all. All manifold existences are built up in the eternal, all-pervading, all-penetrating Spirit, which is being and bliss, as bracelets and ornaments are formed from a single mass of gold. Like the ether of space enclosed in many vessels, the Logos, the all-pervading Lord, entering many vestures, appears to be divided because they are divided, and shines forth absolute and pure when they fall away. The physical body is formed of the five elements compounded, and is built up by deeds done in the past; it is called the dwelling in which pleasure and pain are experienced. The subtle form is made of the five elements not compounded, and is endowed with the five vital breaths, the emotional mind, the intelligence and the ten powers of perception and action; it is the instrument through which experience is gained. The causal vesture is said to rest on the primal, indefinable illusion of separate existence. Let the disciple apprehend the Spirit as other than this triad of vestures. Through union with the five coverings, the pure Spirit takes on their nature, like a clear crystal laid on a blue cloth. Though everywhere present, the shining of the Spirit is not everywhere perceived; let it be perceived in the pure intelligence, like an image in a polished mirror. The Spirit is other than the body, the powers of perception and action, the emotional mind, the intelligence; let the disciple know the Spirit as the witness of these, ever as their king. Because their powers of perception and action are busily engaged, the Spirit seems busily engaged to those who lack discernment, as the moon seems to race among the racing clouds. The body, the powers of perception and action, the emotional mind and the intelligence move about after their proper objects bathed in the pure consciousness of the Spirit, as people move about bathed in the sunlight. Because of unwisdom they imagine that the actorship of the mental vesture belongs to the Spirit, as they attribute the rippling of the water to the reflected moon. Desires and wishes, pleasures and pains persist while the mind is awake; in dreamless sleep, when its activity ceases, they too cease; therefore they are of the mind, not of the Spirit. As brightness is the nature of the sun, coldness of water, beat of fire, so being, consciousness, bliss, perpetual purity are the nature of the Spirit. Through lack of discernment, linking together these two, the being and consciousness of the Spirit and the activity of the mind, the thought arises that I am actively perceiving. Thinking the Spirit is the individual life, as the rope is thought to be the serpent, he suffers fear; but when he knows, I am not the individual life but the higher Self, he attains to fearlessness. The one Spirit illumines the intelligence, the emotional mind and all the powers, as the lamp illumines water pots: the Self, the Spirit, is not illumined by these inert powers. There is no need for another light to illumine the Self, for the Spirit itself is light: as a lamp needs no other lamp, the Self, the Spirit, shines with its own light. Discarding all the vestures, according to the Scripture, It is not that, not that; let the disciple find the oneness of the individual spirit and the Supreme Spirit, according to the Scripture. Since I am other than the body, not mine are birth, decay, wasting and dissolution; since I am beyond the powers, I am not implicated in sounds and sights and sensuous things. From the Spirit are born the life-breaths, the emotional mind and all the powers, the ether, air, fire, the waters and earth, sustainer of all. Without qualities, without action, eternal, without separateness, without stain, without change, without form, ever free am I, beyond the darkness. Ever pure, free, the one partless, secondless bliss, the real, wisdom, endless, the Supreme Eternal, verily, am I. The conviction that I am the Eternal, thus ceaselessly impressed upon the mind, ends the distractions of unwisdom, as the healing essence drives disease away. Seated in a solitary place, with passion dispelled and the powers well controlled, let the disciple bring to consciousness the one Spirit, steadfastly dwelling in thought on that endless One alone. The wise man, dissolving all visible things in the Spirit through meditation, should bring to consciousness the one Spirit, ever stainless as the ether of space. The distinction of knower, knowing and known does not exist in the higher Self; formed altogether of consciousness and bliss, it is self-illumined. As the fire-stick is plied in the block, so let him direct meditation upon the Spirit; as the sparks of understanding glow, let him enkindle the fuel of all wisdom. The former darkness is dispelled by illumination, as by the dawn; thereupon the Spirit is revealed, self-luminous, like the rayed sun. The Spirit, though ever possessed, seems unattainable through unwisdom; when that is destroyed, the Spirit is known to be possessed, like a jewel on one’s own neck. Through experience of the true being of the real, wisdom suddenly reveals itself; the unwisdom of I and mine vanishes like an error in direction. He who has attained to union, possessing perfect wisdom, beholds all things dwelling in the Self, the Spirit, through the eye of wisdom recognizing the Spirit as One and All. This world, verily, is Spirit, there is nought but Spirit; as all earthen pots are clay only, so the disciple beholds all as the Self, the Spirit. Therefore, let him who has attained liberation in life, knowing this, detach himself from the qualities of his former vestures; let him become one with being, consciousness, bliss, as the grub becomes the bee. Crossing the ocean of delusion, slaying the demons of lust and hate, he who has attained to union, perfected in peace, reigns in the paradise of the Spirit. 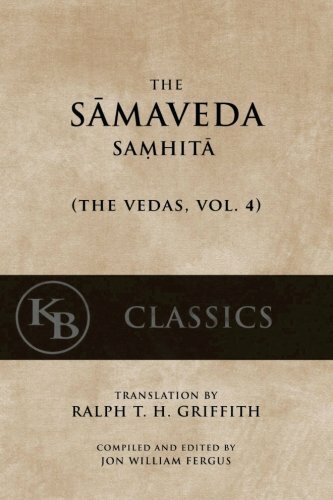 Though still wearing the vesture, yet unstained by its qualities, like the ether, let the saintly sage move detached as the air, as one who knows nothing, though knowing all things. When the vestures dissolve, let the saintly sage enter wholly into the Logos, as water in water, as air in air as fire in fire. The gain than which there is no higher gain, the joy than which there is no higher joy, the wisdom than which there is no higher wisdom: let the disciple know that this is the Eternal. Through and through, upward, downward, perfect, secondless being, consciousness, bliss; the one, endless, everlasting: let the disciple understand that this is the Eternal. The imperishable, defined in the sacred sciences by excluding all that is of other nature, the one partless bliss: let the disciple apprehend that this is the Eternal. That is in essence partless joy; fed on the fragments of that joy, according to their dignity, the high gods all rejoice. Every substance is its being; every activity is its power; the Eternal pervades all things, as butter is everywhere present in cream. Through that light shine the sun and all other lights; that is illumined by no other light; that, whereby all this is illumined, let the disciple know that this is Eternal. Inwardly, outwardly, enveloping all, and causing this whole universe to shine, the Eternal enkindles all things, as a mass of iron glows with heat. Though the Eternal is other than the world, yet there is nought other than the Eternal; whatever appears as other than the Eternal. is an illusion like the mirage in the desert. Whatever is seen, whatever heard, is no other than the Eternal; and, truly known, the Eternal is secondless being, consciousness, bliss. The individual life, enkindled by the fire of wisdom lit by hearing the sacred wisdom and by meditation, cleansed of all impurity, shines like refined gold. For the Spirit, rising in the heaven of the heart, a sun of wisdom, dispels the darkness; all-enveloping, all-sustaining, that sun shines and illumines all. He, for whom all spaces, places, times are one, who, putting away all other observances, worships in the shrine of the Spirit that stainless, everlasting joy that makes an end of all afflictions, knowing all things, entering into all things, attains to immortality.